Have you ever watched the 1987 Oscar Best Picture, The Last Emperor? I grew up with my Papa who's fond of watching historical/classic movies and I can still vividly remember the story of Pu Yi, China's Last Emperor. 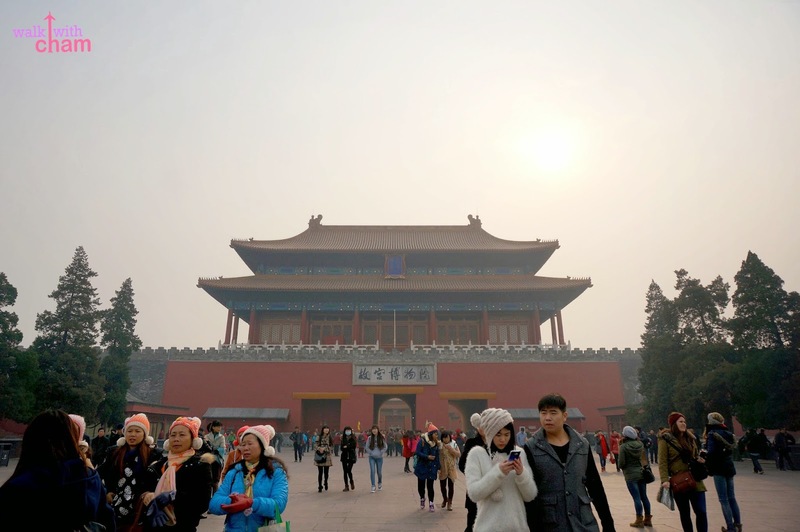 The movie was shot in Forbidden City and it was the first film where the Chinese government authorized producers to shoot in the Emperor's Palace. 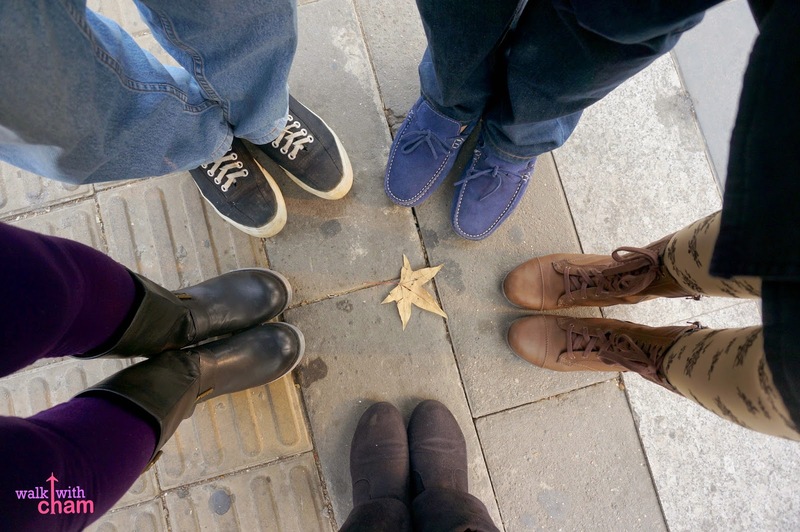 Being a TV producer, it thrills me to explore cities or sites that were shot in the venue where it actually happened. 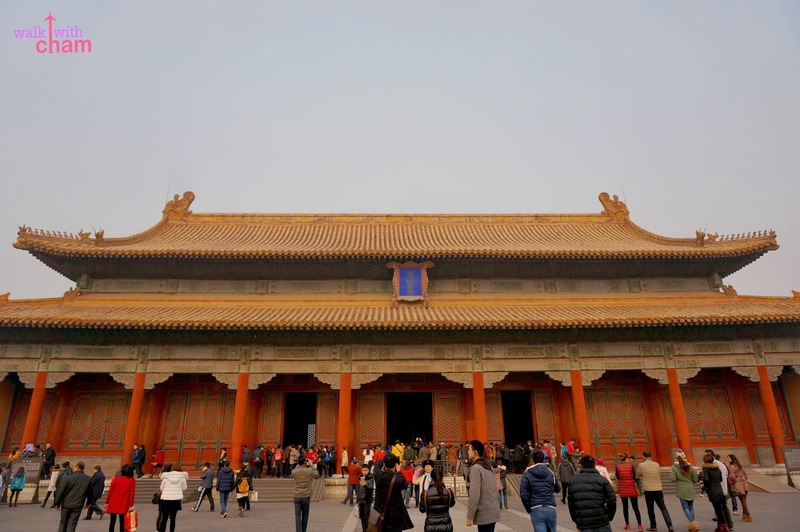 The Forbidden City also known as the Palace Museum was the Chinese Imperial Palace from the Ming Dynasty until the Qing Dynasty which is also a UNESCO World Heritage Site. 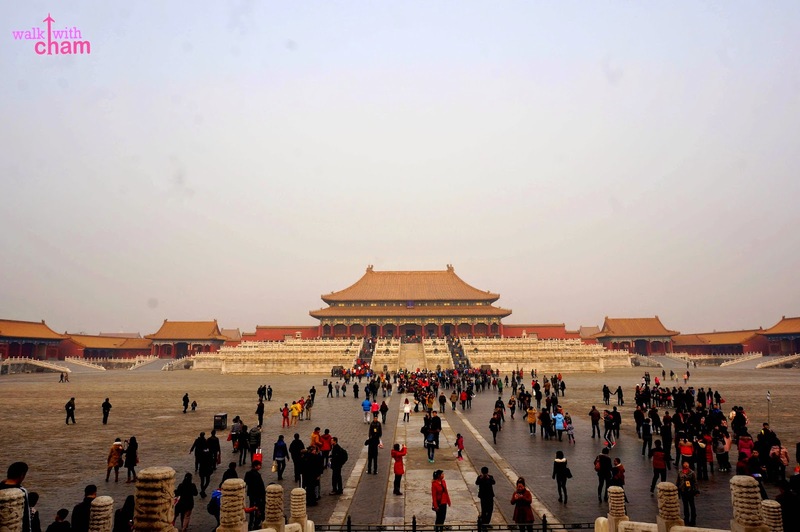 It was built for 14 years and is home to 24 emperors. 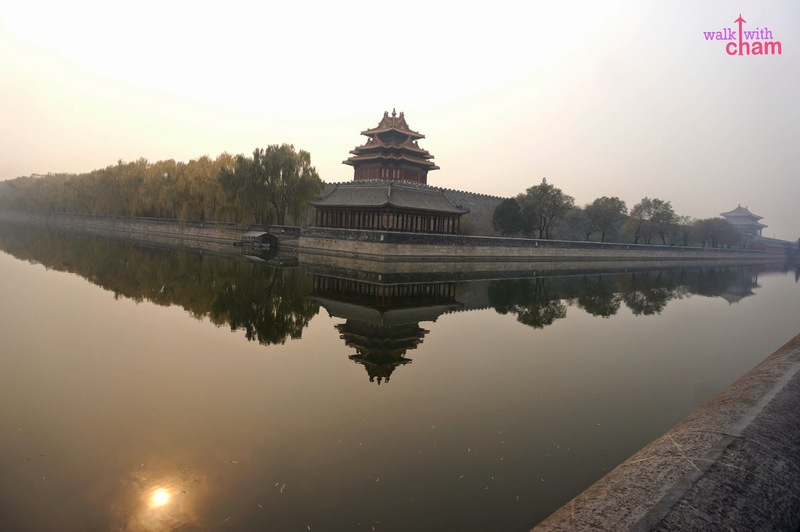 The city served as the house of the emperor, his family and other political officials. 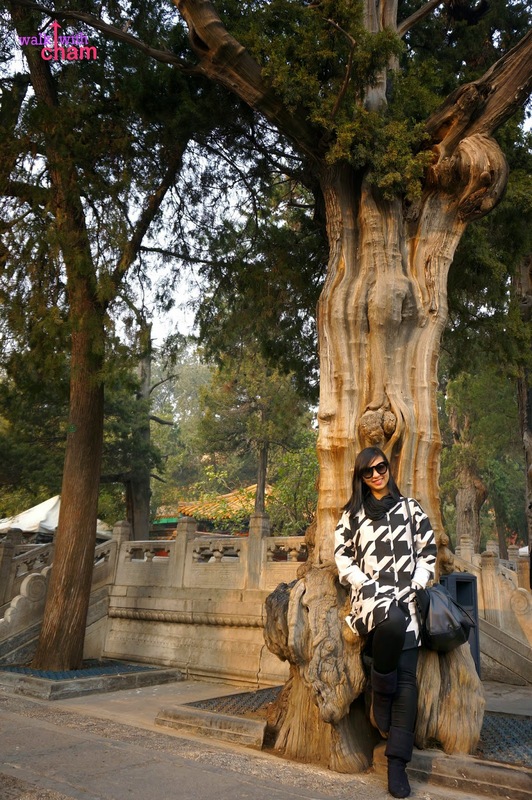 It is one of the most significant ancient Chinese landmark so it is visited by many tourists. 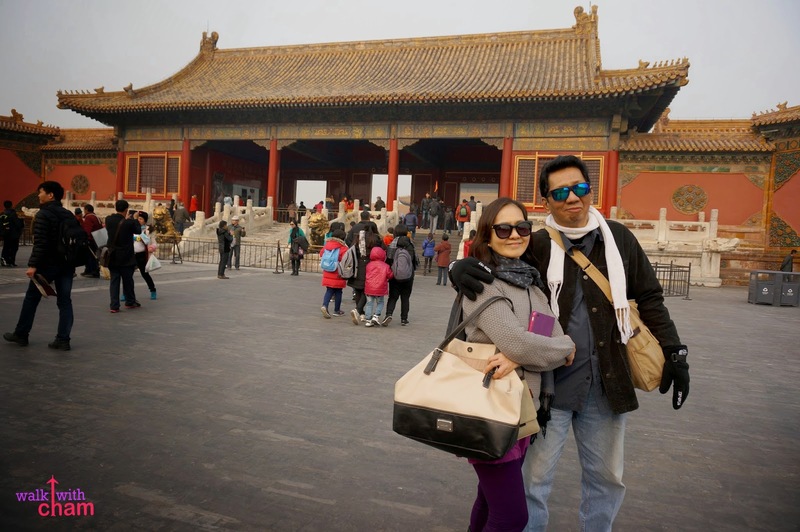 We took the Subway Line 1 then got off at Tiananmen East Station (you can also opt to exit at Tiananmen West Station), visited the Tiananmen Square then walk north going to the entrance- Tiananmen Gate or Gate of the Heavenly Peace. 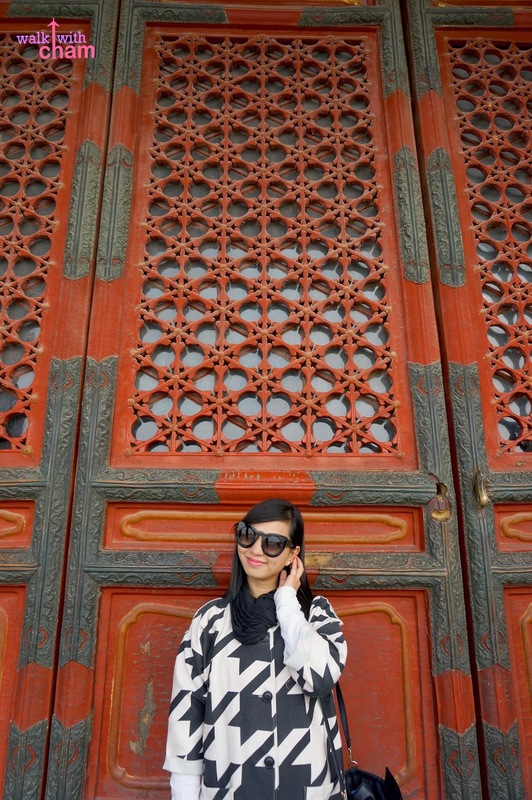 After paying for our entrance fees it was time to enter the Forbidden City. The city was called forbidden because during those times not everyone was allowed to enter here only those who had special permission from the emperor. Anyone who got caught was sentenced to death. But now anyone can visit this historical site. 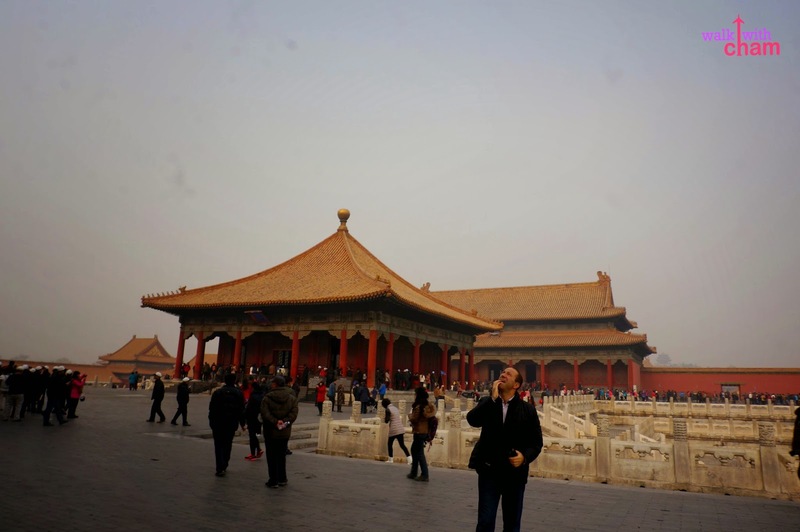 The Palace is rectangular in shape and covers 7,200,000 square meters, it is so big so prepare to do a lot of walking! Good thing we scheduled this on our first day so we still had tons of energy in store. 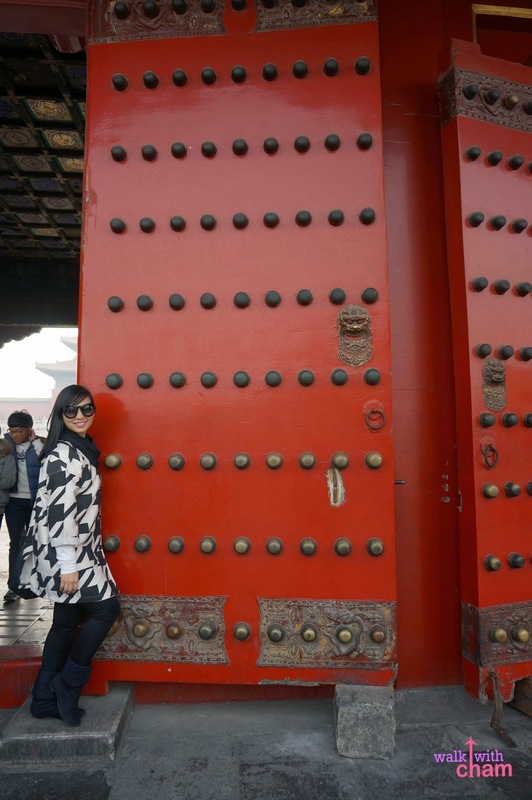 Ancient Chinese architecture is distinct from any architectures in the world although I find all the gates and halls almost the same, I even had a hard time distinguishing one building from the other. 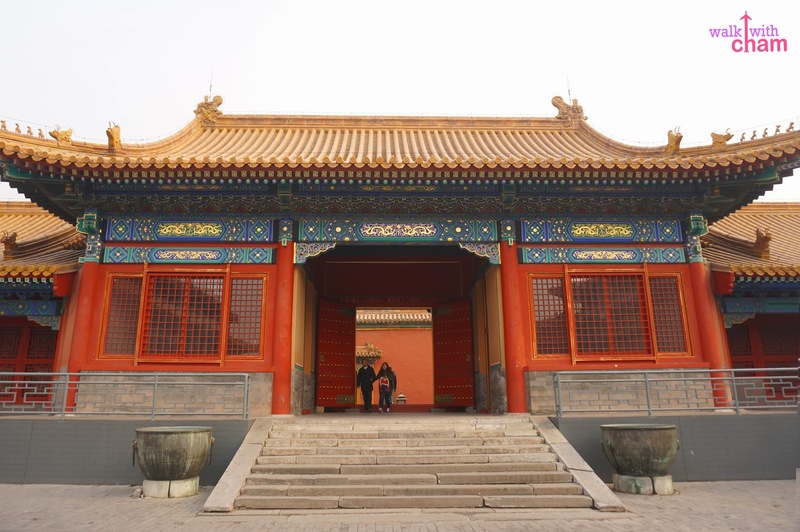 Chinese architecture has two main imperial colors- red and yellow. 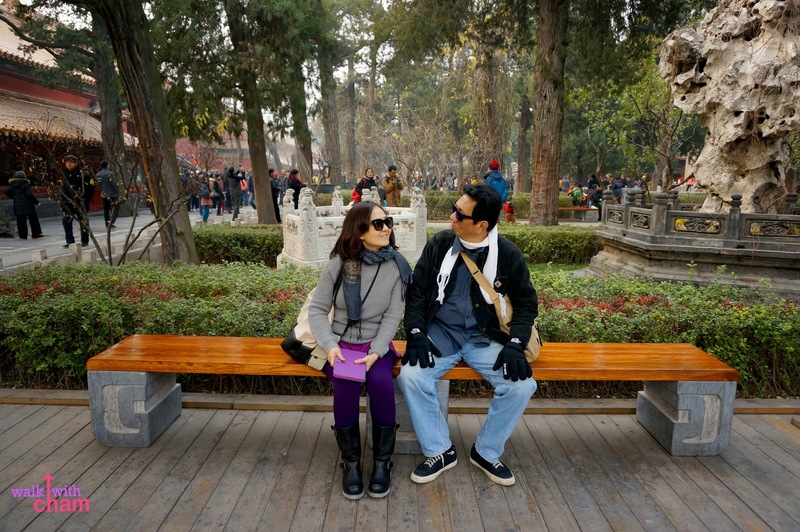 Location is also important for Chinese so they rely on Feng Shui. The roofs are attractive with animal decorations on the eaves. 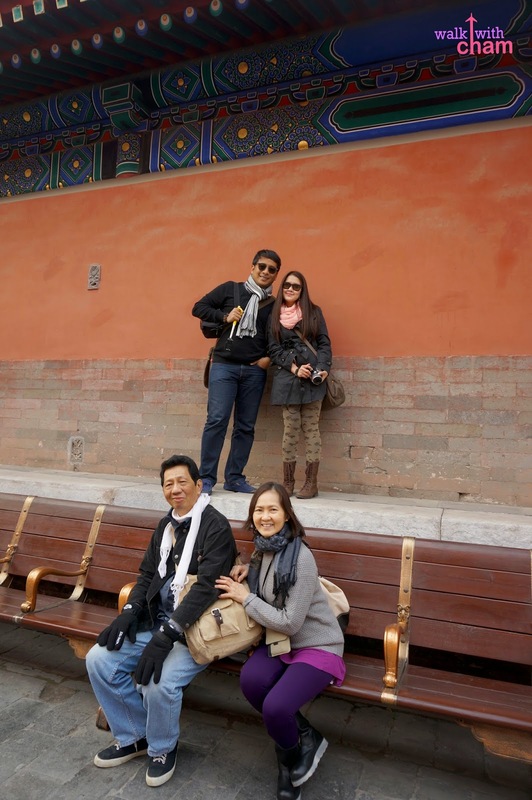 It is at the southern gate and the only entrance to the Forbidden City. 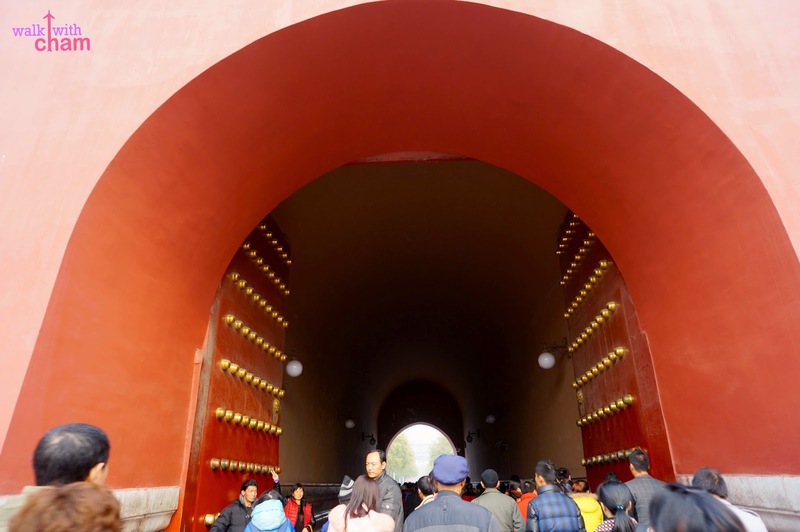 After entering the Meridian Gate we were welcomed by another gate called the Gate of Supreme Harmony where we saw a river that flows beneath five Golden Water Bridges. 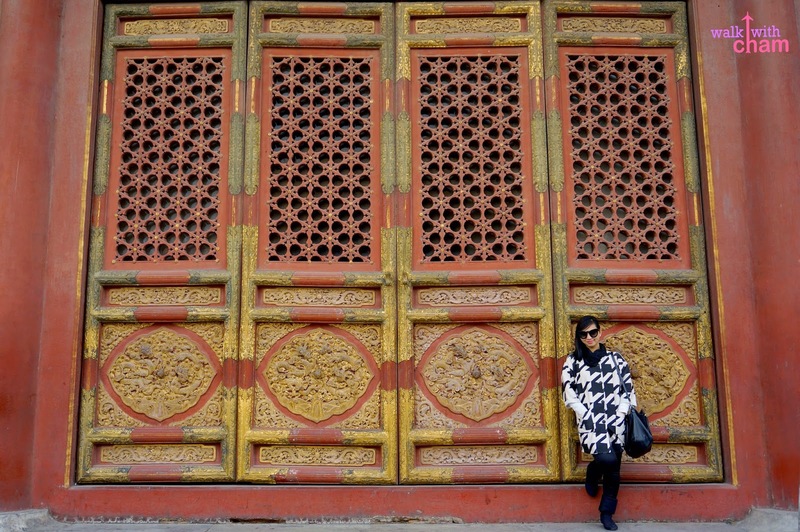 The Gate of Supreme Harmony is an entrance to the most important part of the Palace, the Hall of Supreme Harmony. 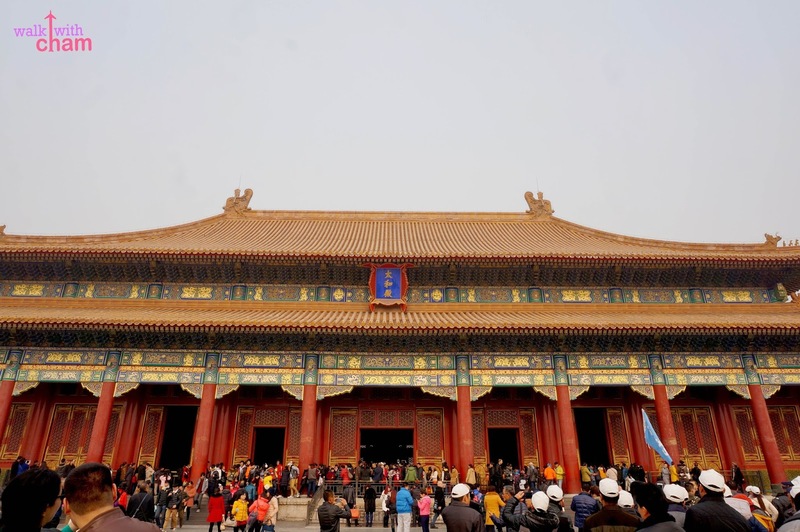 It said to be the most important hall of the palace which has a spacious square that covers 30,000 square meters. 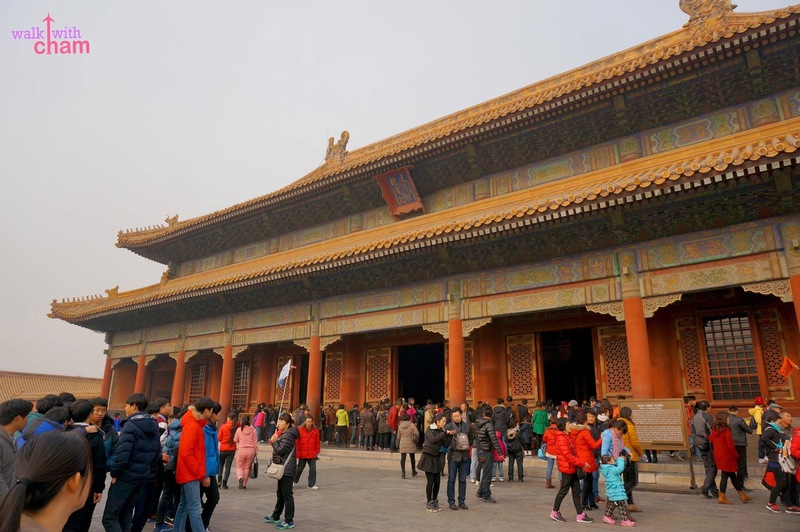 Being the heart of Forbidden City, grand ceremonies were held here including important events like ascending of emperors to the throne. I was so enthralled when I saw a clip of the site from the Last Emperor that has the exact same shot as mine. 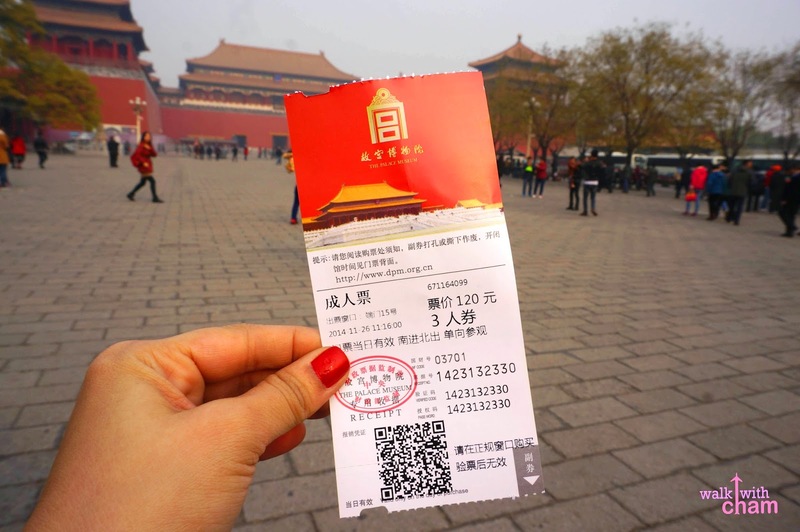 Because it is the most famous hall of the city, tourists flock in this area. In the middle part one can see the most important throne in the palace. It was a challenge for me to make my way inside. There was a swamp of people taking photos of the throne. They kept on pushing and shoving other people around but it didn't stop me from taking a glimpse of it - perks of being a small person! Nakipagsapalaran talaga ako! And at last I was able to get inside the very center and took a couple of shots of the famous throne. 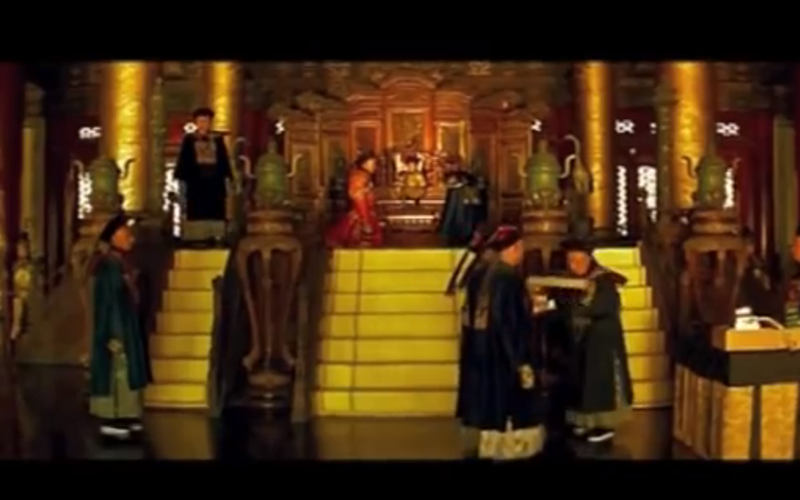 This was the exact throne from the movie The Last Emperor so for reference I took a screenshot in one of the scenes. This was where he hid the grasshopper! 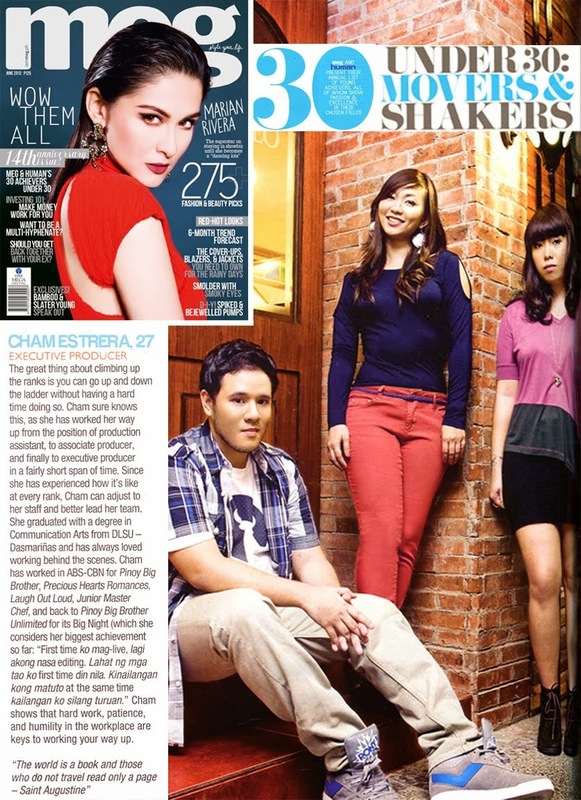 -feeling kilig! Located between the Hall of Supreme Harmony and Hall of Preserved Harmony lies the Hall of Central Harmony is smaller compared to the two. It served as the stand by area of the emperor before going to the Hall of Supreme Harmony. We hadn't reached the middle part of the city yet but my parents were already tired. 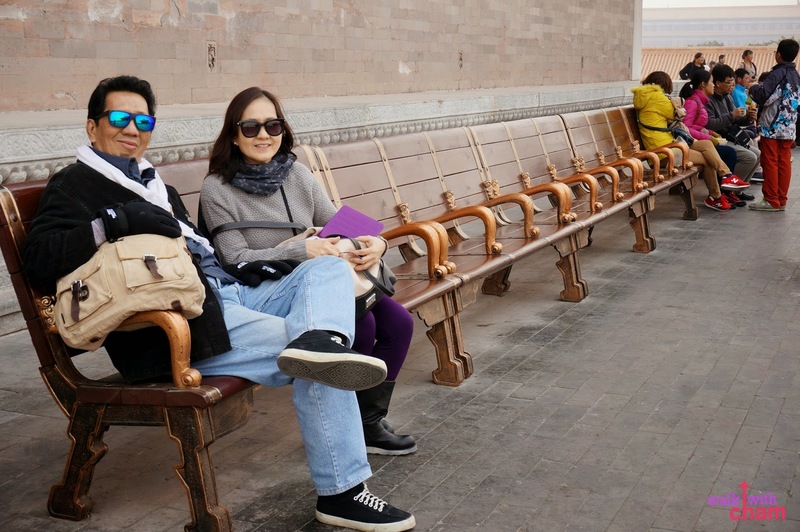 Good thing seats were ample in the palace. At the northern part of the Hall of Central Harmony lies another hall named Hall of Preserved Harmony. 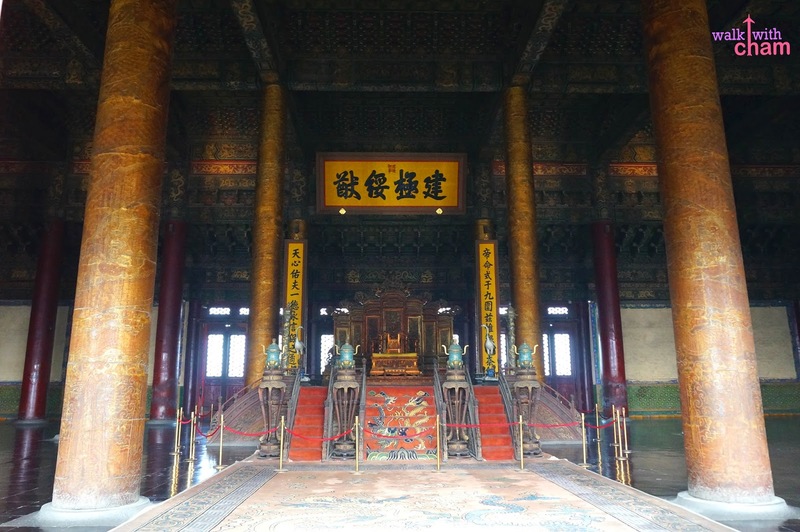 This hall is usually for changing of clothes of the emperor prior to ceremony and for imperial banquets such as princess's marriage & Chinese new year banquet. 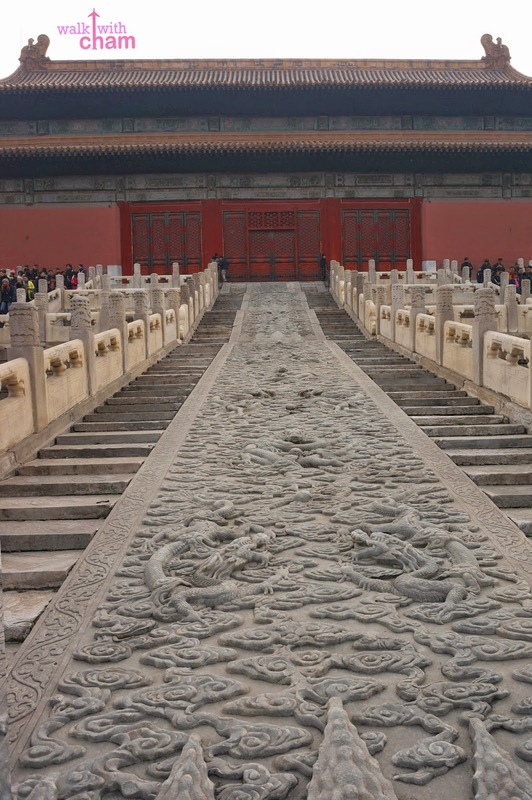 Behind the Hall of Preserved Harmony is a huge rectangular stone carvings of nine dragons playing pearls. This one is the largest stone sculpture in the city and during the dynasty it was said to be holy that anyone who was caught touching it would receive death penalty--- yipes! The gate served as the entrance of the Imperial household. It sometimes used as a court, officials gather here while waiting for the emperor to come out. 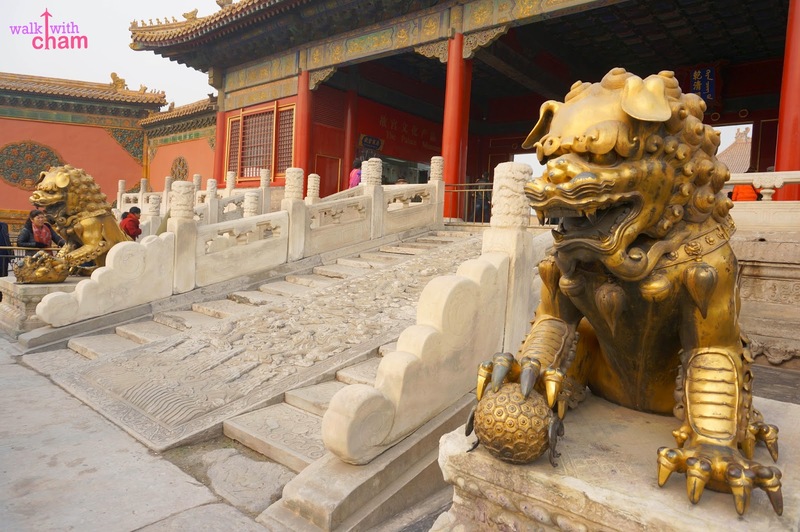 There are two bronzed lions situated in front of the gate which served as guardians during those times. This served as the bedroom of the emperor. It is the smaller version of the Hall of Supreme Harmony but larger than any other structures. 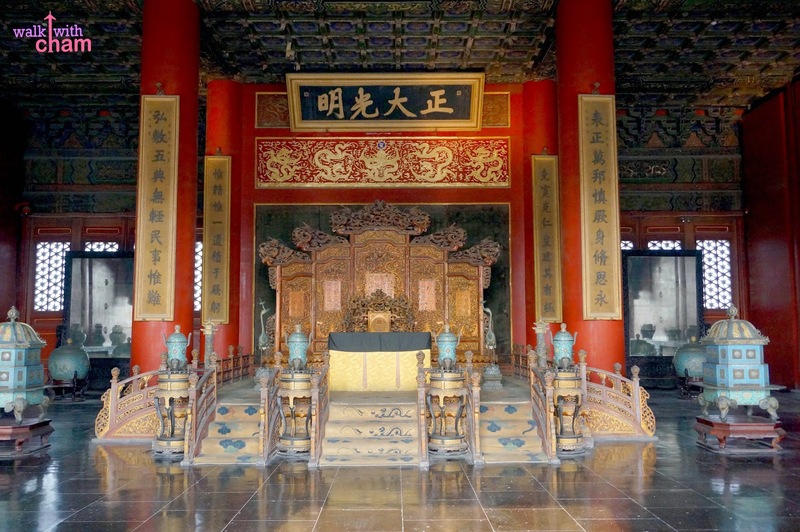 There is also a throne placed at the center surrounded by incense, candles and mirror to ward off evil spirits. 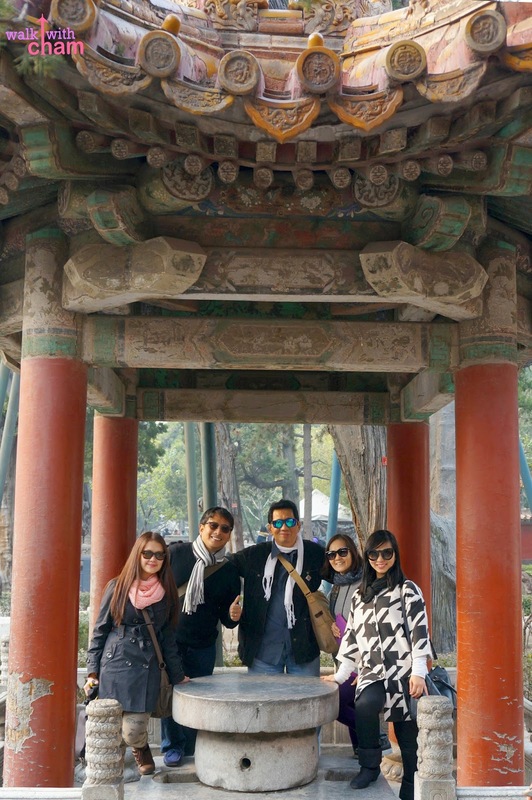 It is located at the middle of Palace of Heavenly Purity and Palace of Earthly Tranquility. 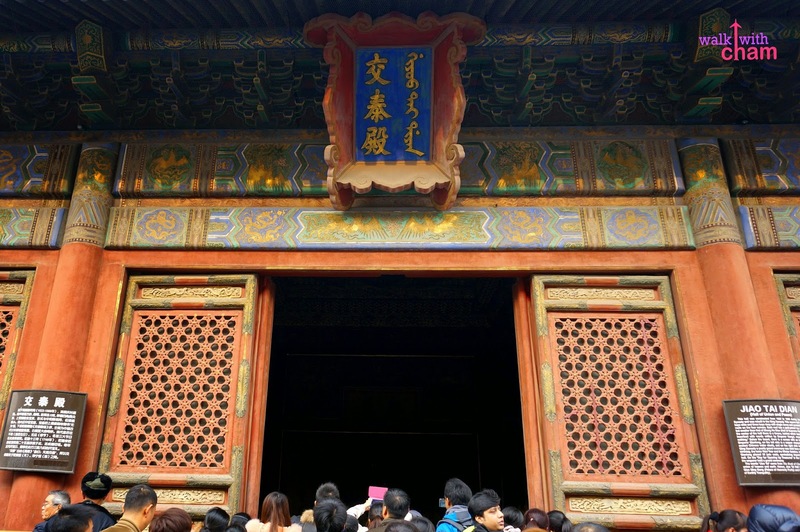 It is used as a venue for birthdays of the empress celebrating with the concubines. In some important occasions people come here to pay respect to the empress. This was where the empress lived. 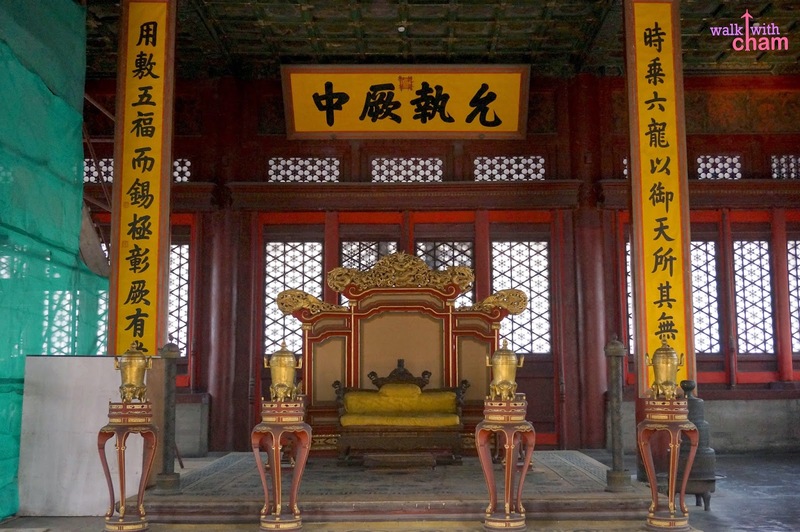 It was also the nuptial chamber of the emperor and empress during the dynasties. Because all of us were getting a bit tired of the same building structure. Trust me you can't really distinguish the difference of one structure from another (almost all the designs- wall, roof, paint, ceiling are the same) we turned our way to the east side of the city and we saw a gate leading to another hall. Gosh! 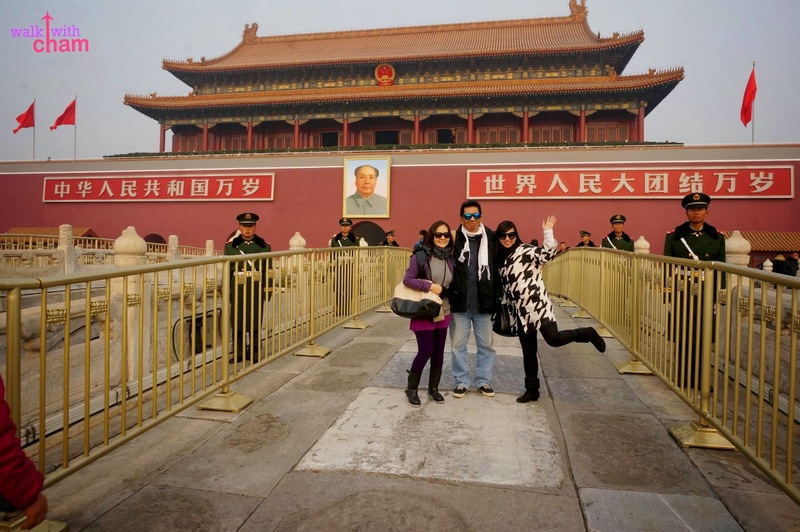 We were really convinced that the Forbidden City really is BIG! We failed to get inside as we were already running out of time plus the group was beginning to feel tired & hungry. So we tried heading up north to the exit and we found the Imperial Garden. 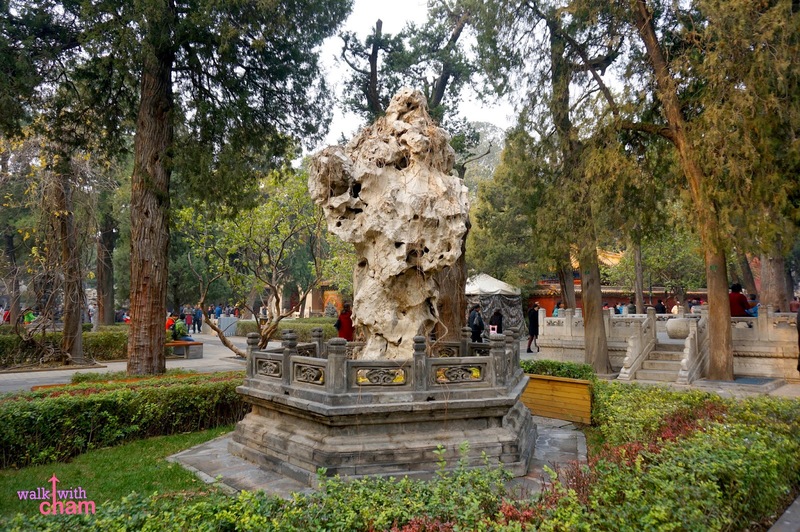 The imperial garden has a lush collection of plants, trees and flowers that brings a calming ambiance. Perfect venue after a very long walk, we couldn't stop appreciating the garden and staying here for a couple of minutes, it served as a quick retreat for us and other travelers. Northern gate which is the only access when exiting. 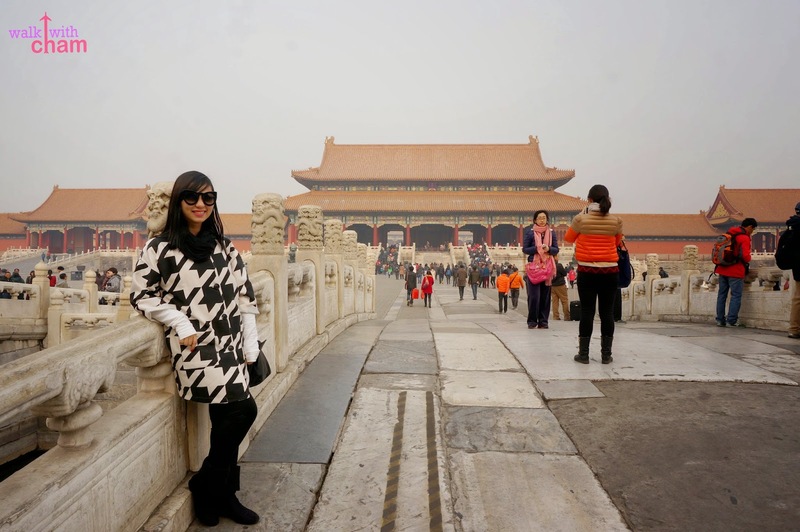 The Forbidden City being a place for emperors and officials was a highly secured area. Moats surrounded the city and watch towers were placed at every corner for defense against the enemies. 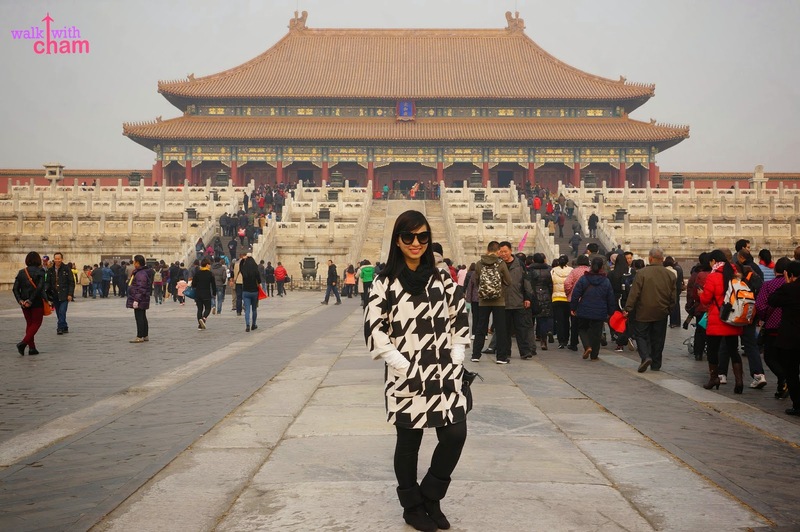 The trip to the Forbidden City was a remarkable experience. Tiring but educational. It somehow showed a glimpse of what the Chinese past looked like- good thing I wasn't born during that era. When going here do wear a pair of very comfy walking shoes as the palace is enormous! 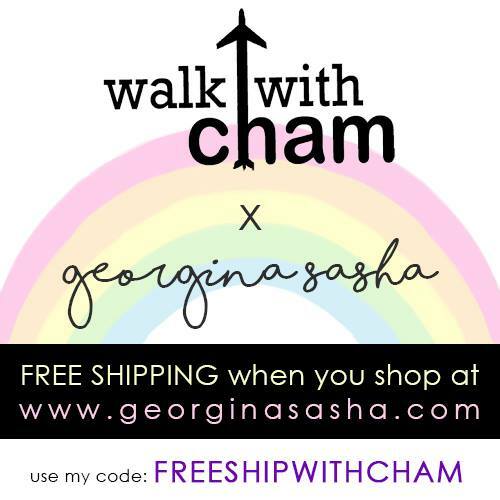 It would take you 2-3 hours to wander. Goodbye Autumn. Goodbye Forbidden City.